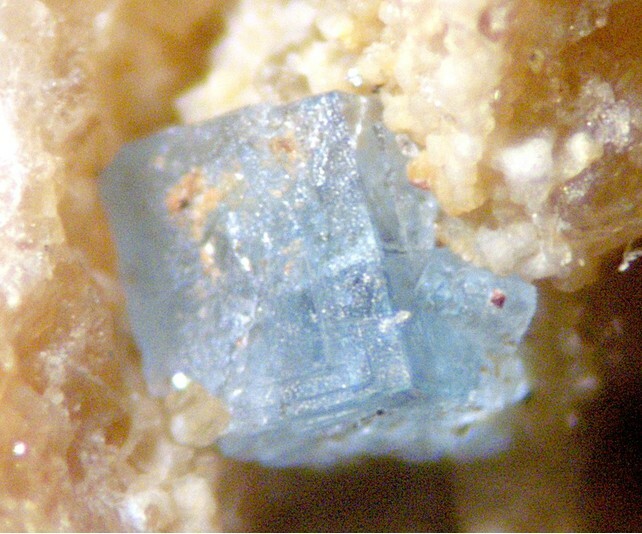 Kosnarite: Mineral information, data and localities. Pale blue to pale green to colourless. Named by Michael E. Brownfield, Eugene E. Foord, Stephen J. Sutley, and Theodore Botinelly in honor of Richard Andrew "Rich" Kosnar (13 November 1946, Jersey City, New Jersey, USA - 15 January 2007), Colorado mineral dealer (Mineral Classics). 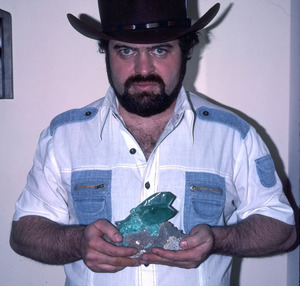 He was a specialist in New Jersey traprock minerals, pegmatite and Alpine-type minerals, and Coloroado localities. In 1977 he reopened the Sweet Home mine for specimens. 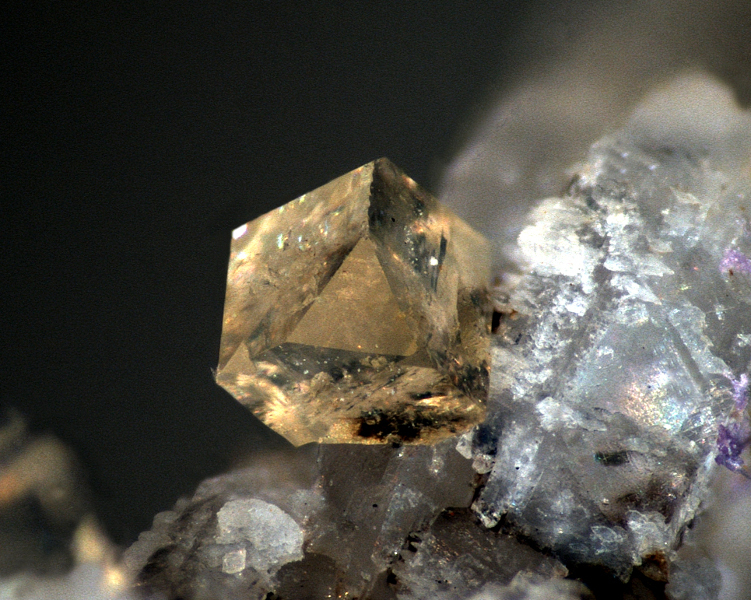 This page provides mineralogical data about Kosnarite. National Museum of Natural History, Washington, D.C., USA, 170369, 170370. Secondary mineral in a complex granite pegmatite. Albite 116 photos of Kosnarite associated with Albite on mindat.org. Zanazziite 34 photos of Kosnarite associated with Zanazziite on mindat.org. Montebrasite 30 photos of Kosnarite associated with Montebrasite on mindat.org. Muscovite 17 photos of Kosnarite associated with Muscovite on mindat.org. Cleavelandite 7 photos of Kosnarite associated with Cleavelandite on mindat.org. Lepidolite 7 photos of Kosnarite associated with Lepidolite on mindat.org. Eosphorite 5 photos of Kosnarite associated with Eosphorite on mindat.org. Jahnsite-(CaMnMg) 5 photos of Kosnarite associated with Jahnsite-(CaMnMg) on mindat.org. Fluorapatite 3 photos of Kosnarite associated with Fluorapatite on mindat.org. Oligoclase 2 photos of Kosnarite associated with Oligoclase on mindat.org. Šljukić, M., Matković, B., Prodić, B., Anderson, D. (1969) The crystal structure of KZr2(PO4)3. Zeitschrift für Kristallographie: 130: 148–161. Brownfield, M.E., Foord, E.E., Sutley, S.J., Botinelly, T. (1993) Kosnarite, KZr2(PO4)3, a new mineral from Mount Mica and Black Mountain, Oxford County, Maine. 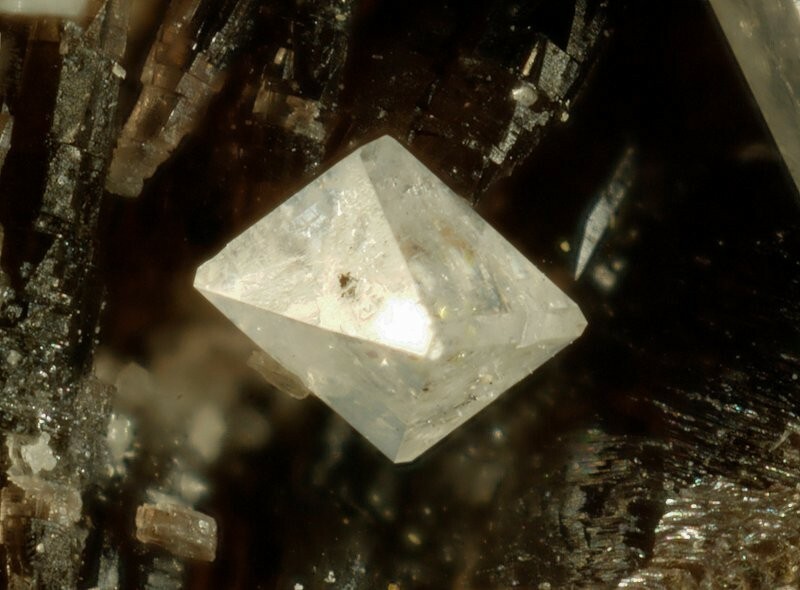 American Mineralogist: 78: 653-656. Birch, W.D., Pring, A., Bevan, D.J.M., Kharisun (1994) Wycheproofite: a new hydrated sodium aluminum zirconium phosphate from Wycheproof, Victoria, Australia, and a new occurrence of kosnarite. Mineralogical Magazine: 58: 635–639. Mandarino, J.A. (1997) New Minerals 1990-1994. Mineralogical Record. The following Kosnarite specimens are currently listed for sale on minfind.com. Peter Haas, Elmar Lackner anf Jordi Fabre specimens. Luiz Alberto Dias Menezes Filho, Mario Luiz de Sá Carneiro Chaves, Coralie Heinis Dias, Daniel Atencio (2016): Recent mineral discoveries in the Coronel Murta, Taquaral, and Medina pegmatite fields, northeastern Minas Gerais, Brazil. REM - Int. Eng. J. 69, 301-307. [http://www.scielo.br/pdf/remi/v69n3/2448-167X-remi-69-03-0301.pdf]. Deditius, A.P., Utsunomiya, S., Sanchez-Alfaro, P., Reich, M., Ewing, R.C., Kesler, S.E. (2015): Constraints on Hf and Zr mobility in high-sulfidation epithermal systems: formation of kosnarite, KZr2(PO4)3, in the Chaquicocha gold deposit, Yanacocha district, Peru. Mineralium Deposita, 50, 429-436. Brownfield, M. E., Foord, E. E., Sutley, S. J. and Botinelly, T. (1993): Kosnarite, KZr2(PO4)3, a new mineral from Mount Mica and Black Mountain, Oxford County, Maine. Am. Mineral. 78, 653-656.